Birthplace: Moon Township, Pennsylvania, U.S.
w:Tom Izzo and w:John Calipari at Whitney Young High School to recruit w:Jahlil Okafor. 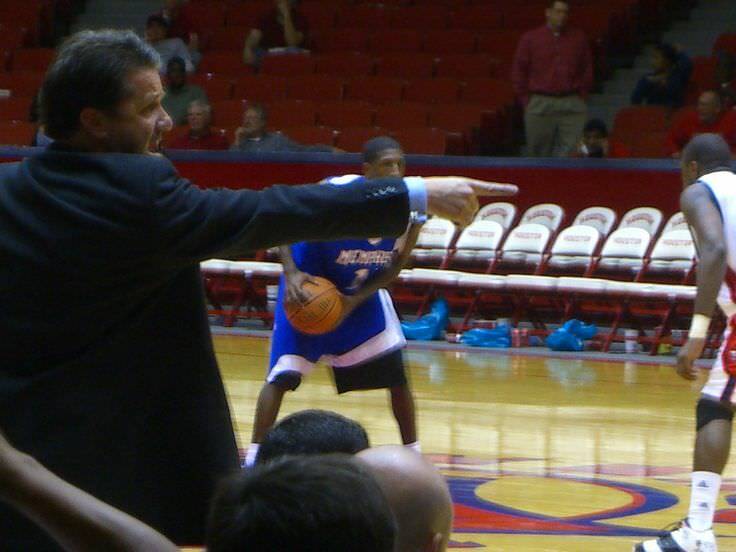 John Calipari is a famous American basketball coach, who was born on February 10, 1959. 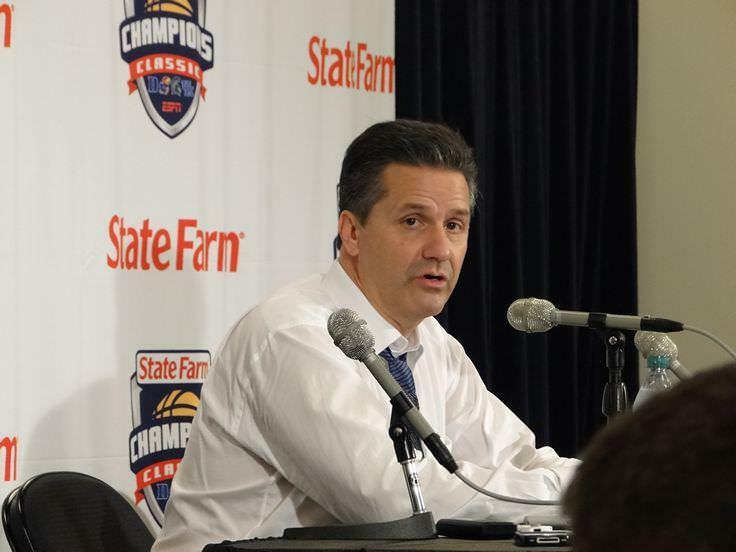 As a person born on this date, John Calipari is listed in our database as the 14th most popular celebrity for the day (February 10) and the 63rd most popular for the year (1959). People born on February 10 fall under the Zodiac sign of Aquarius, the Water Bearer. 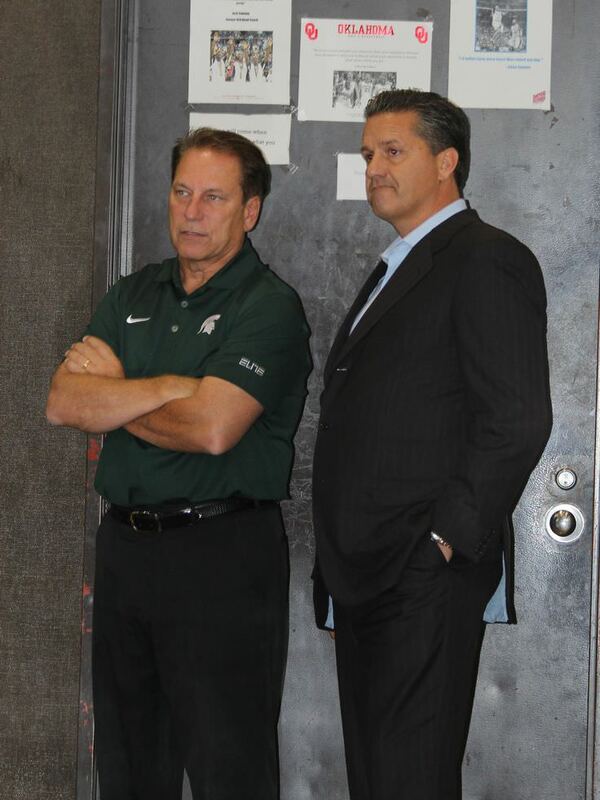 John Calipari is the 474th most popular Aquarius. Aside from information specific to John Calipari's birthday, John Calipari is the 2934th most famous American. 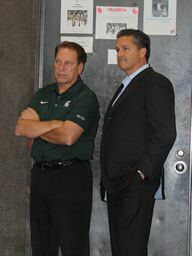 In general, John Calipari ranks as the 5304th most popular famous person, and the 9th most popular coach of all time. “The Famous Birthdays” catalogs over 25,000 famous people, everyone from actors to singers to scientists to serial killers and more. If you're curious to see who was born on your birthday, you can use our database to find out who, what, where, when and why. You can search by birthday, birthplace, claim to fame or any other information by typing in the search box, or simply browse our site by selecting the month, the day, the horoscope, or any other clickable option.